Westchase is a community just north of Tampa Bay in Hillsborough County, Florida. It features more than 2 dozen "villages" and a town center which has a distinct look inspired by historic Hyde Park in South Tampa. If you're in search of a Westchase pool builder to transform your backyard into the perfect Westchase outdoor living space for your family, consider Grand Vista Pools. 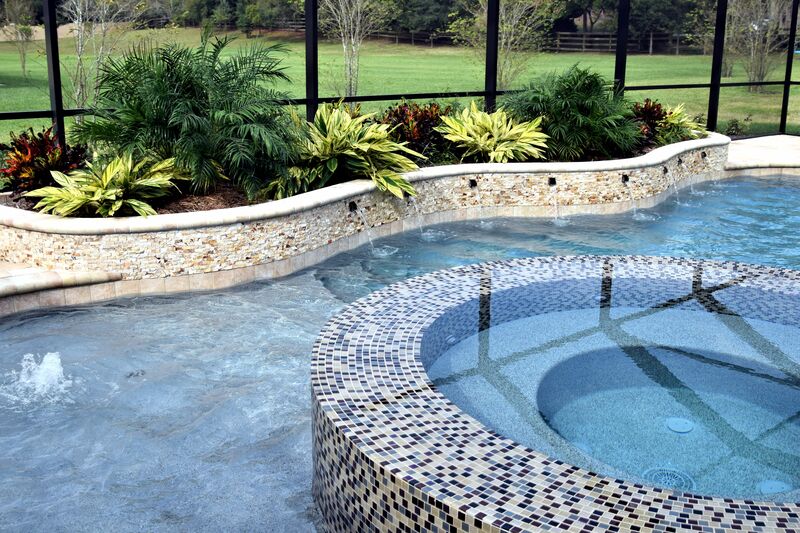 We've been building new swimming pools in Westchase, Florida for decades. What makes Grand Vista Pools unique is not only are we an experienced pool builder, but we are also a licensed general contractor. This means we can design and build your entire outdoor living space, including any renovations to your home which may help your indoor living space flow better with your outdoor living space. If you have an older swimming pool, we provide pool remodeling. We can do everything from basic pool resurfacing to an extreme makeover. Want to add a spa? Want to liven up your space with lighting, water or fire features? We can make it happen! Grand Vista Pools also designs and builds Westchase outdoor kitchens. From a stunning outdoor grill to a beautiful, full-featured kitchen to a luxurious outdoor bar, we can create the outdoor living space that is just right for you.